The Burrunan dolphin (Tursiops australis) is a species of bottlenose dolphin found in parts of Victoria, Australia. It was recognised as a species in 2011. By size, the Burrunan dolphin is between the other two species of bottlenose dolphins, and only around 150 individuals have been found in two locations. The northern right whale dolphin (Lissodelphis borealis) is a small and slender species of marine mammal found in the North Pacific Ocean. It travels in groups of up to 2000, often with other cetaceans, in deep waters of the North Pacific. The dolphin is one of two species of right whale dolphin, the other being found in cooler oceans of the Southern Hemisphere. 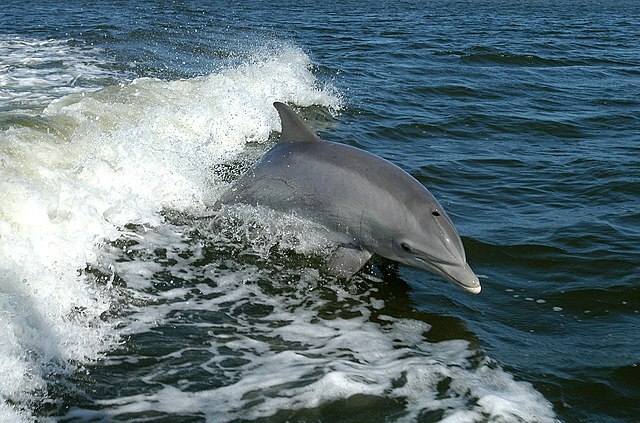 The Guiana dolphin (Sotalia guianensis), also known as the estuarine dolphin, is a dolphin found in the coastal waters to the north and east of South America, and east of Central America. It is a member of the oceanic dolphin family (Delphinidae). It can live both in saltwater and in freshwater.